VH-NHQ. 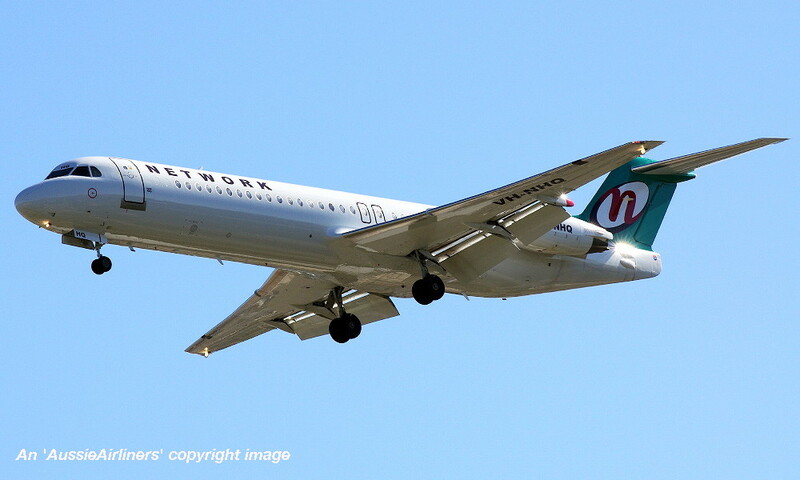 Fokker F28-0100. c/n 11506. 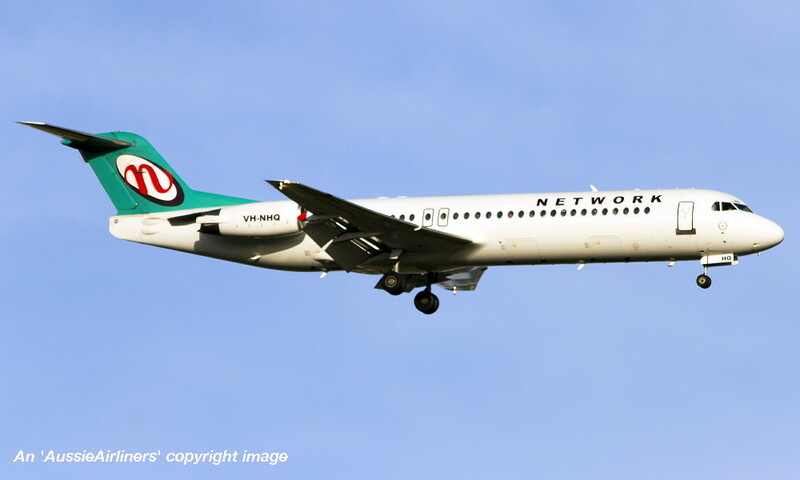 Registered to Aircraft N1470K Trust c/- Wilmington Trust, Wilmington, DE, U. S. A. 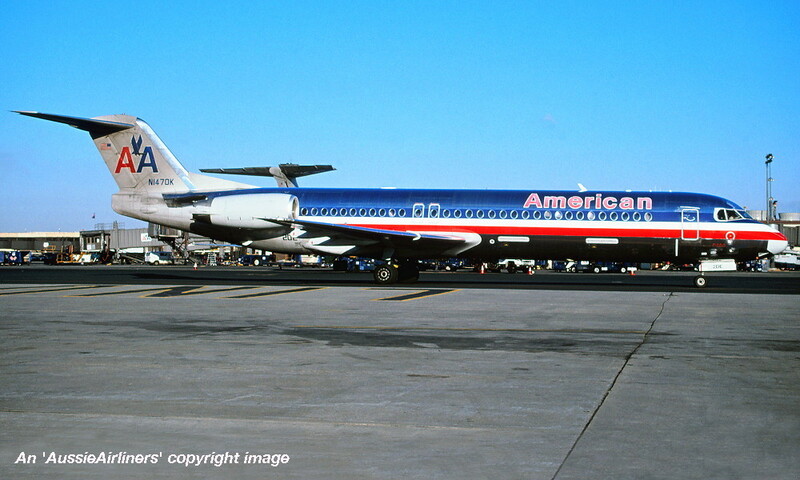 Operated final American Airlines revenue service - ? 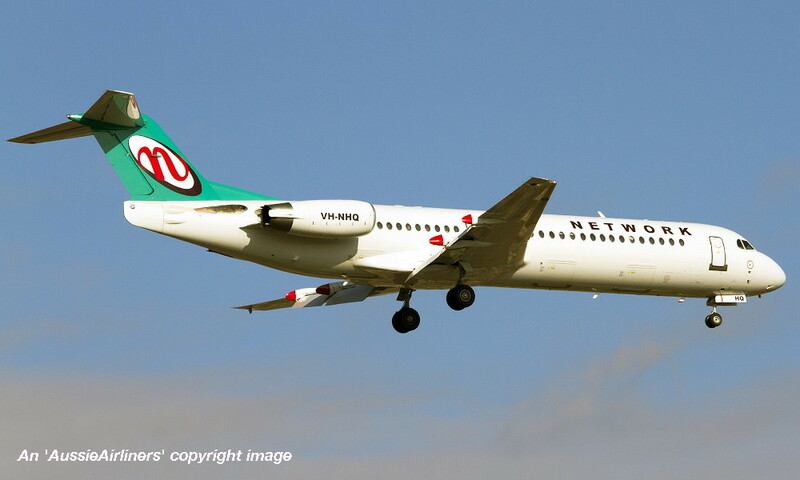 N1470K. 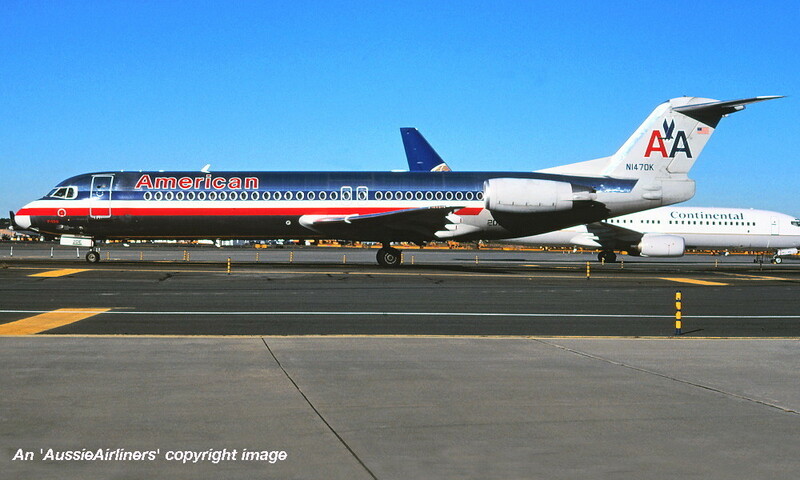 American - in the standard livery at an unknown airport, September 2003. 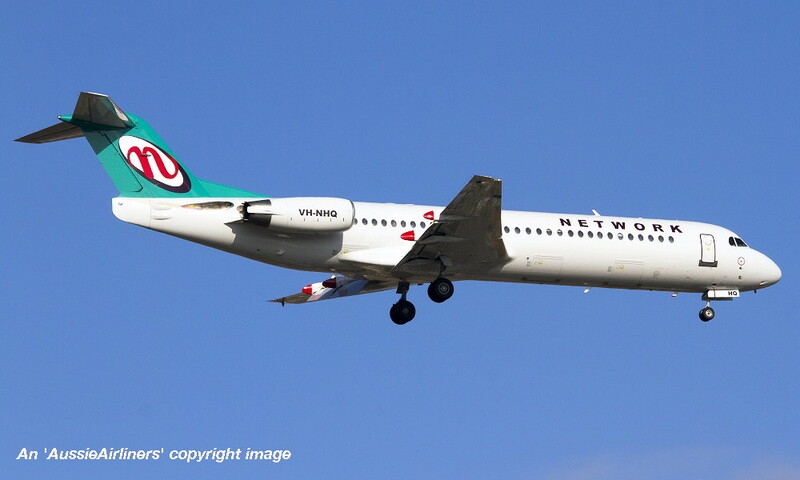 N1470K. 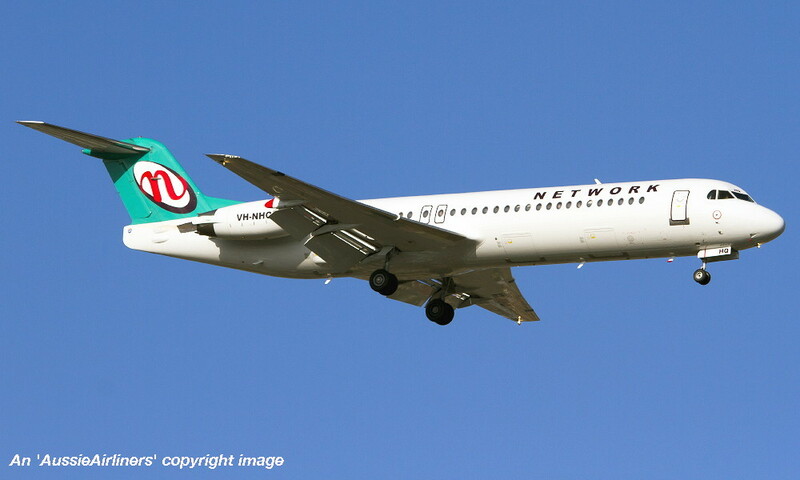 American - in the standard livery at an unknown airport, February 2004. VH-NHQ. 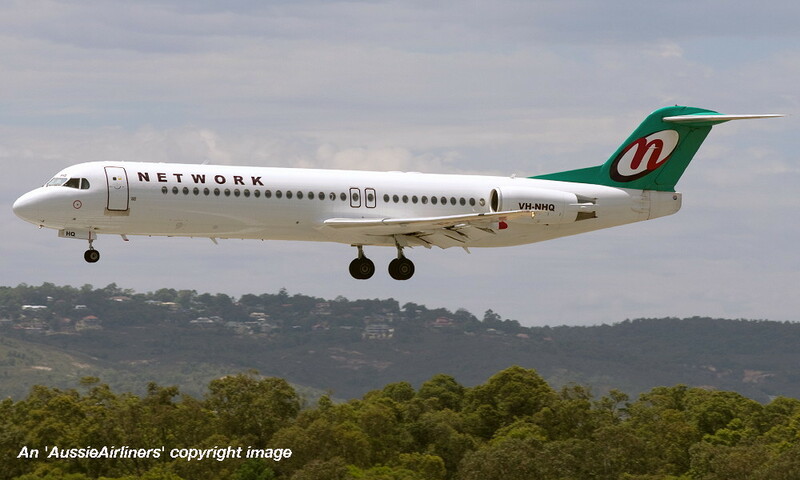 Network - in the standard livery at Perth Airport, May 11, 2012. VH-NHQ. 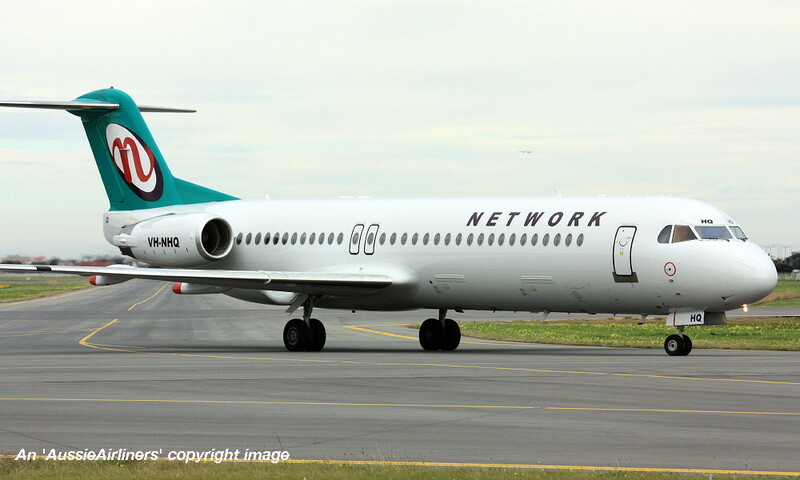 Network - in the standard livery at Perth Airport, September 17, 2012. 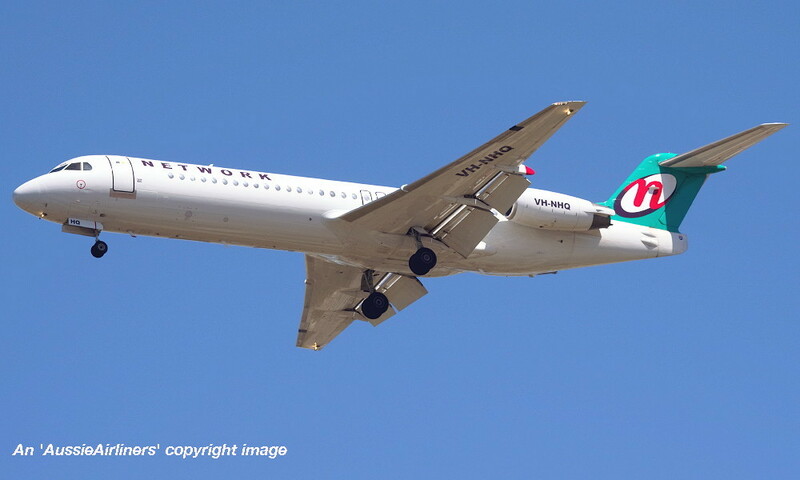 VH-NHQ. 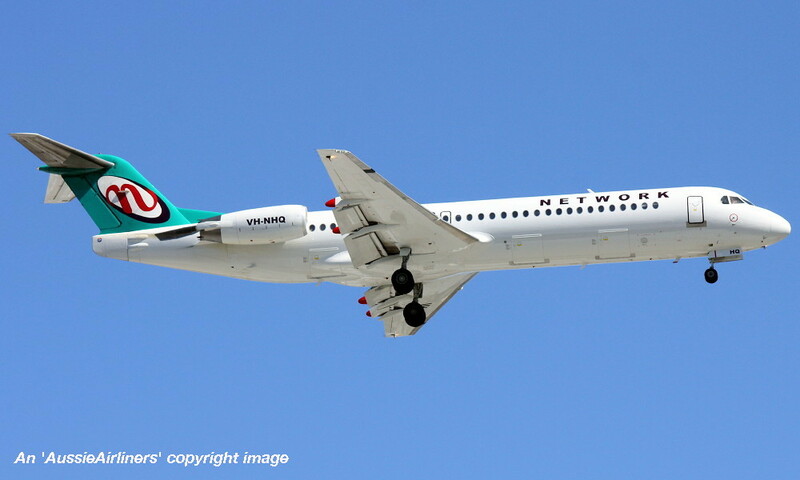 Network - in the standard livery at Adelaide West Beach Airport, July 24, 2013. VH-NHQ. 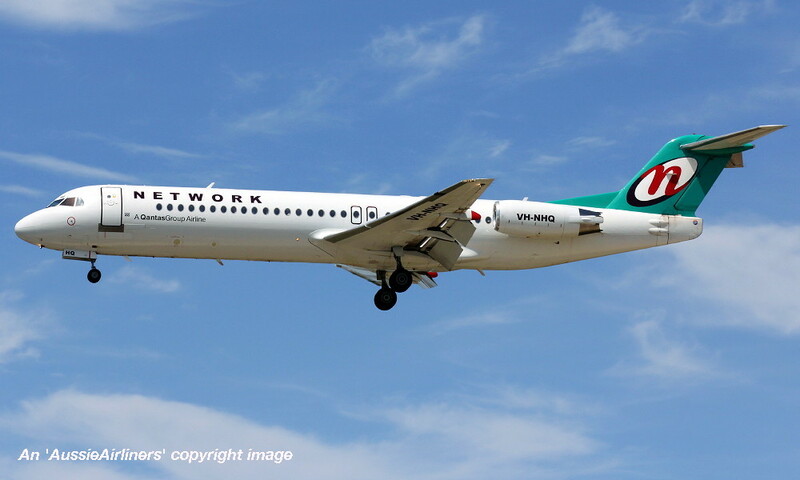 Network - in the standard livery at Adelaide West Beach Airport, July 25, 2013. 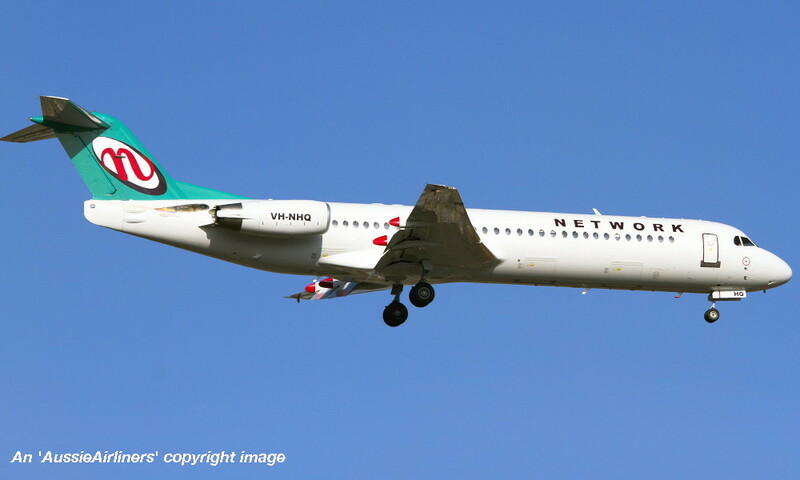 VH-NHQ. 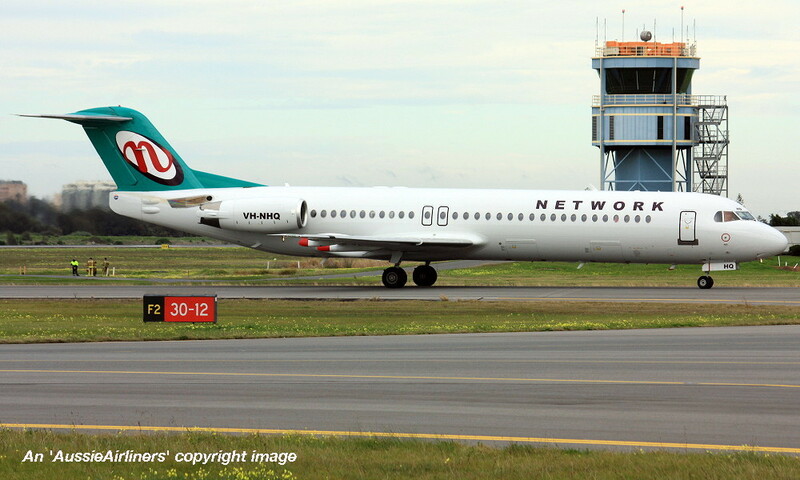 Network - in the standard livery at Perth Airport, November 18, 2013. VH-NHQ. 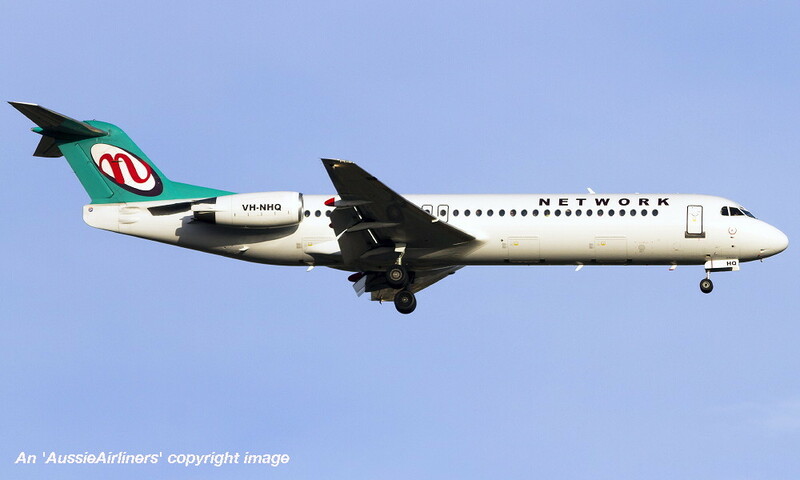 Network - in the standard livery at Perth Airport, November 22, 2013. VH-NHQ. 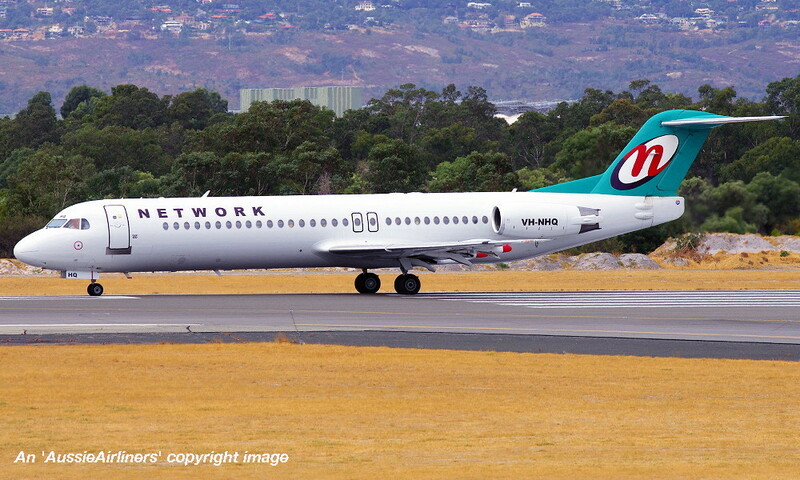 Network - in the standard livery at Perth Airport, December 02, 2013. VH-NHQ. 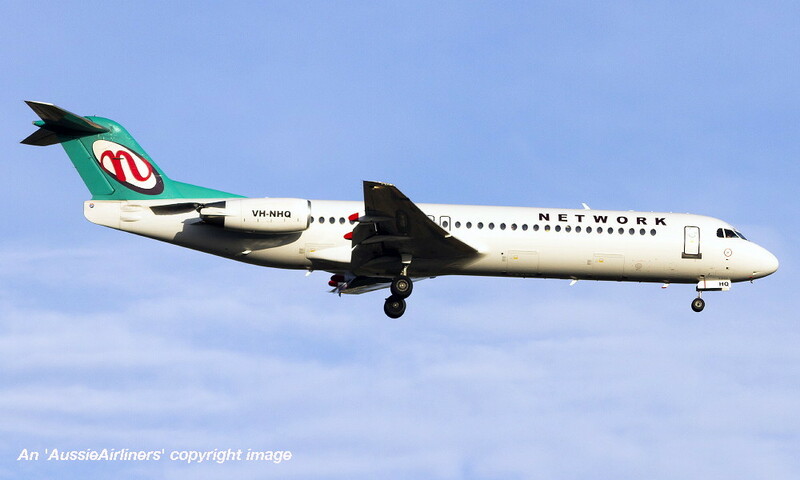 Network - in the standard livery at Perth Airport, March 26, 2014. VH-NHQ. 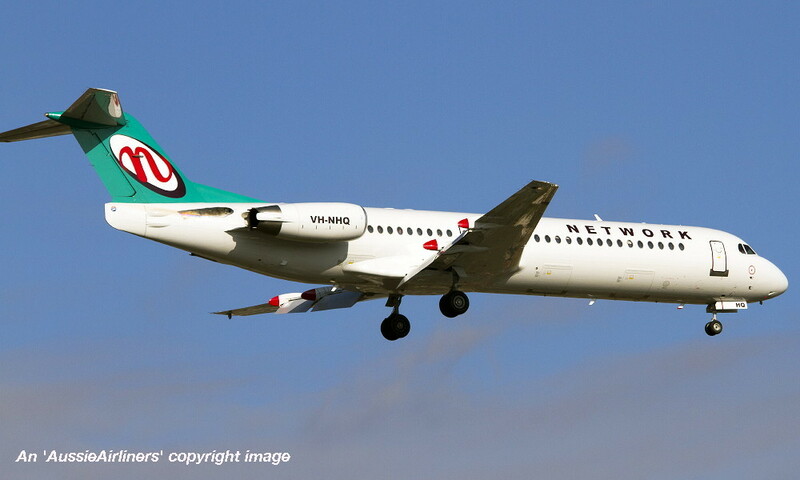 Network - in the standard livery with additional 'A Qantas Group Airline' titles at Perth Airport, March 08, 2017.